Before Brock and I got married in Alaska last year, my friends threw me a sweet Alaskan-themed send-off. The highlight of the menu was the baked Alaska we had for dessert. It was stunning and so very delicious. Moist cake, creamy ice cream AND toasty meringue all in one bite makes for an awesome dessert. Dessert is the ultimate gluttony and a baked alaska is essentially three desserts in one, so as part of Miu Miu’s 7 Holiday Sins campaign, I recreated a mini version inspired by Miu Miu’s perfume. 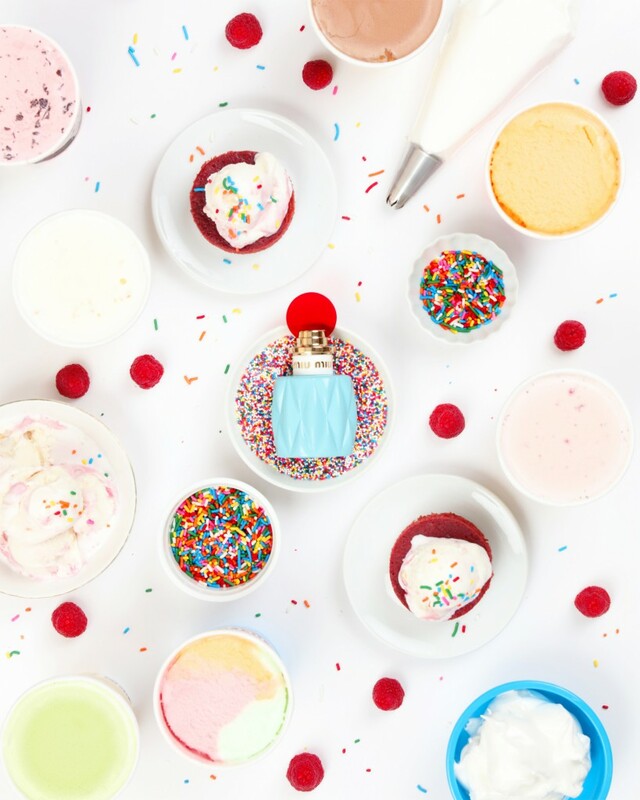 I’m a sucker for bright pops of color, so I’m all heart-eyes over the bottle. To make the dessert equally vibrant, I used 4-inch rounds of red velvet cake, scoops of various ice creams, lots of sprinkles and piped meringue. 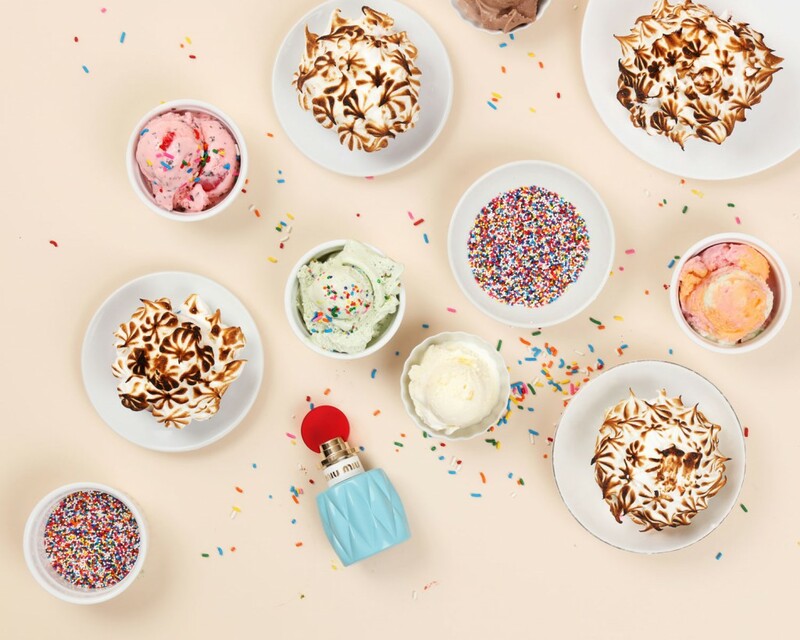 My mini baked alaskas all have different flavors of ice cream in them so it’s like SURPRISE! My favorite combination was the red velvet cake with a raspberry cheesecake gelato. I finished them off with a quick pass of the blowtorch. Brock makes fun of me that I’ll take any excuse to use my blow torch, which is probably true. If you don’t have a blow torch, an oven will do just fine! 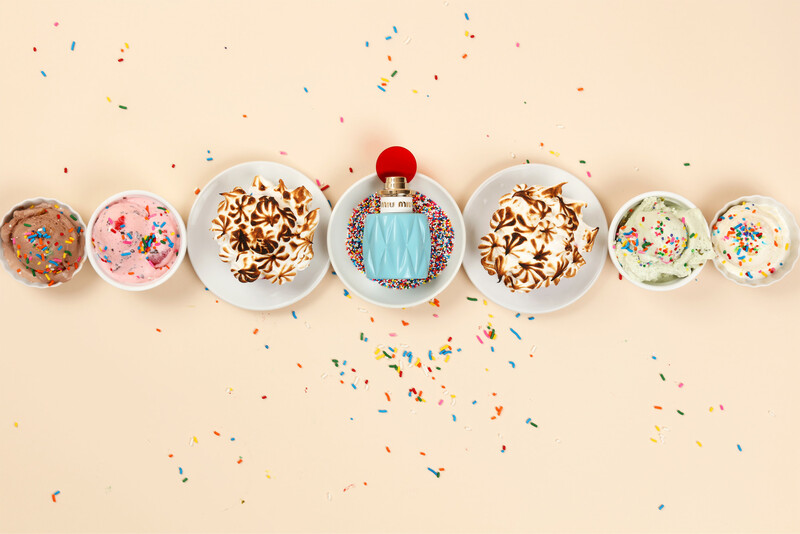 I hope you’re taking the time this season to eat something delicious, like this baked alaska, or buy something delicious, like this adorable perfume. 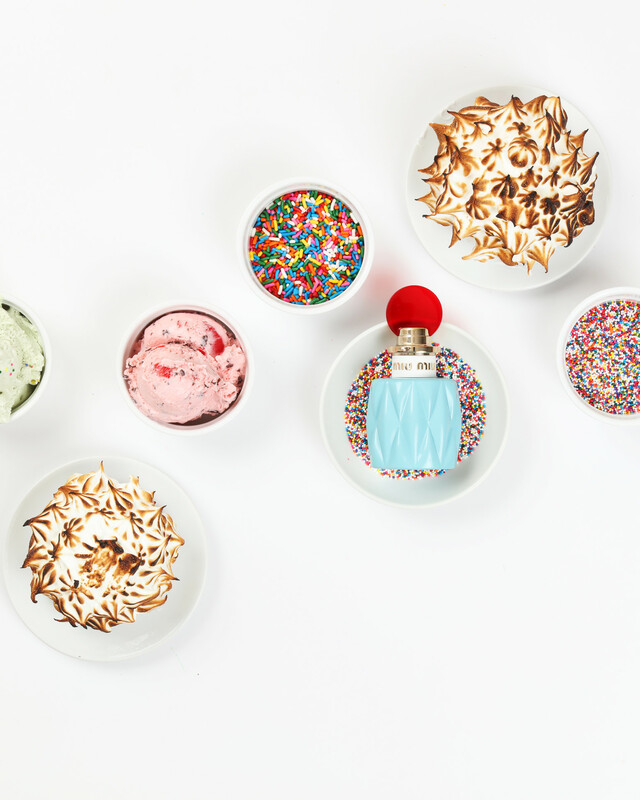 The fragrance makes for the perfect gift for either yourself or a friend and you can shop it at Sephora.com! Fun fact: The baked Alaska was made to commemorate the U.S. purchase of Alaska in 1876. For the meringue: In a mixer, whip egg whites and cream of tartar on medium until frothy. Slowly add the sugar, one spoonful at a time. Whip on medium-high until thick and billowy. Transfer meringue to piping bag, if desired. To assemble: Place one scoop of ice cream on top of each piece of cake. Add sprinkles. Freeze for a minimum of two hours. 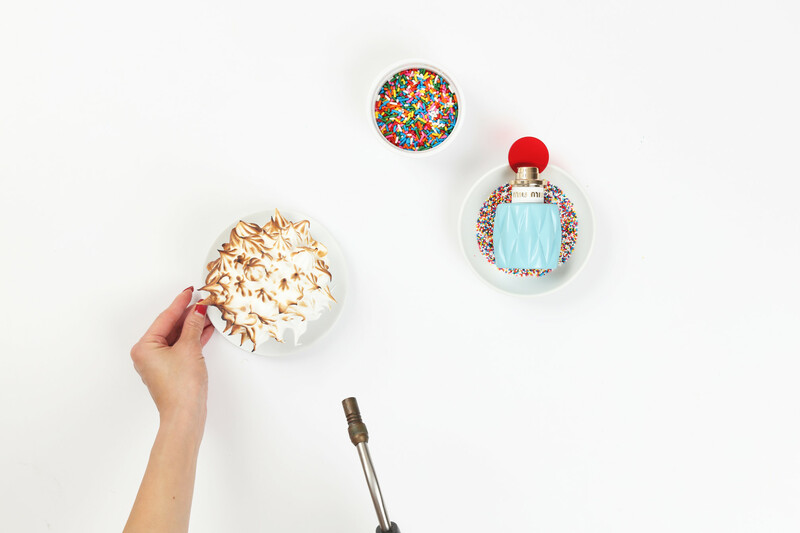 Pipe or spread meringue to cover ice cream and cake. Freeze for a minimum of two hours. When ready to serve brown the meringue in the broiler or with a blow torch. **Disclaimer: This post is sponsored by Miu Miu. Thanks so much for supporting our partners that help keep Julie’s Kitchen going.